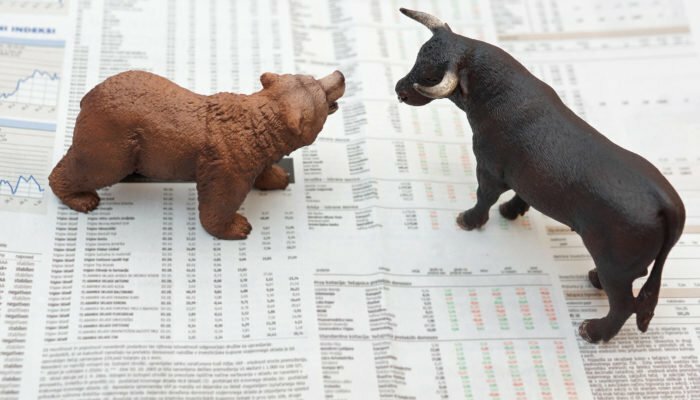 Analysts now expect the markets to trade within a relatively tight range for the near future, which could be proceeded by a large upwards move. At the time of writing, Bitcoin is trading down 1% at its current price of $3,675. Yesterday, Bitcoin surged to highs of $3,725 after dropping to lows of $3,550 over the weekend. In the long-term, analysts agree that Bitcoin is currently caught in a large trading range between $3,000 and $5,000, with strong support existing at the former price and resistance at the latter price point. Within this range, Mati Greenspan, the senior market analyst at eToro, previously speculated that Bitcoin is caught in a smaller trading range between $3,550 and $4,200, which appears to have been validated yesterday when the cryptocurrency’s price surged after touching $3,550. “It seems now, that bitcoin has opened a new mini-range within that from $3,550 to approximately $4,200… Movements within a range can sometimes be sudden… but unless there’s a breakout of the key levels there really isn’t much to write home about,” he said in an email last week. Earlier today, Greenspan shared his thoughts regarding where the crypto markets are heading in the near-future while replying to a question regarding when the next bull run will be, noting that he believes it could be quite some time before there is another parabolic movement, despite positive industry growth. “What we see is a pullback from the over-exhuberance [sic] of 2017. In general, economic conditions have turned sour as central banks tighten their belt. There isn’t an environment [sic] that is conducive to risky investments. Despite massive industry growth the next boom might take a while,” he explained. The general crypto markets, which surged yesterday, have dropped slightly today and most altcoins are currently trading down 1% or more. At the time of writing, Ethereum is trading down 1.2% at its current price of $127.9 and is up from its recent lows of $116. While speaking about Ethereum’s price action in a recent tweet, Trading Room noted that long-term, Ethereum could see a price surge to above $200 if it is able to break through resistance levels around $165. “I don’t know about bottom bottom, but I am okay to buy 111-122 area #ETH with stops below 98 for potential target of 222-233 Offcourse [sic] we need to break above 165-172 but I do expect a break sooner than later,” they noted. XRP is currently trading down 1.5% at its current price of $0.33 and is up slightly from its recent lows of $0.317.